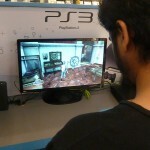 Milestone Interactive had organized a mid-night launch event for the recently released Uncharted 3. Check out official images above and the press release below. 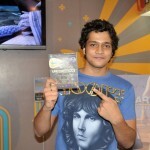 As the clock struck 00:00 hrs on November 2nd, Indian fans got their hands on hottest action adventure title – “Uncharted 3: Drake’s Deception” at Game4u store, Mega Mall, Oshiwara, Mumbai. 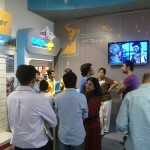 Some customers reached the store over an hour before the launch to be first in line for the midnight release of the game. Mayank Tandon was the first customer to purchase the game as soon as the store opened at 00:00 hrs and was presented with a “1st to own” certificate by Game4u. As per Game4u’s exclusive pre-order bonus on this year’s biggest titles which was announced earlier, Uncharted 3 pre-order customers received their authentic Game4u survival kit including a Directional Compass and a Swiss army knife during the mid-night launch. 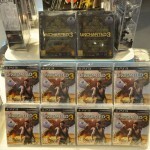 Additionally, all customers who attended the midnight launch were given Uncharted 3 posters.